Remember – managing bipolar disorder is easier when you have accurate information about bipolar. What the bipolar statistics show us is that bipolar disorder is more common than many realize. A 2005 US community epidemiological study (the National Epidemiologic Survey on Alcohol and Related Conditions), estimated the lifetime risk of bipolar I and bipolar II as ranging from 3-10%. “Bipolar disorder affects approximately 5.7 million adult Americans, or about 2.6% of the U.S. population age 18 and older every year.” (National Institute of Mental Health). IN OTHER WORDS – You are not alone! Bipolar disorder statistics from the World Health Organization (WHO), indicate bipolar disorder is the 6th leading cause of disability in the world. – In Australia there are around 238,957 people with bipolar disorder. – In the United Kingdom it is approximately 723,248 people. – In Germany, around 989,095 people have bipolar disorder. – In Canada, bipolar disorder affects around 390,094 people. – In Iran, bipolar disorder affects around 810,038 people. And for both India and China, each have somewhere between 12 – 15 million people who are bipolar! 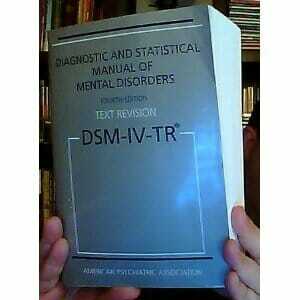 The median age of onset for bipolar disorder is 25 years (NIMH). However, bipolar disorder can begin in childhood and sometimes doesn’t manifest until a person is much older – in their 40’s and 50’s. Bipolar is an equal opportunity disorder, affecting people of all races, ethnic groups and socio-economic backgrounds. When one parent is affected, the risk to each child is 15-30%. When both parents have bipolar disorder, the risk increases to 50-75%. Is bipolar a women’s disease? Other interesting research from the Depression and Bipolar Support Alliance (DBSA) in 2000 showed a gender bias – women are far more likely to be misdiagnosed with depression and men are far more likely to be misdiagnosed with schizophrenia. Other DBSA bipolar disorder statistics from 2000 shows that people with the disorder suffer through as long as 10 years of coping with symptoms before getting diagnosed accurately. Only 1 person in 4 receives an accurate diagnosis in less than 3 years! According to Dr Wes Burgess in his Bipolar Handbook: “A recent study showed that almost 70% of bipolar patients had been misdiagnosed more than 3 times before receiving their correct diagnosis”. In the book Why am I still depressed? (McGraw-Hill 2006), Dr Jim Phelps states “the suicide rate in Bipolar II is as high as, and in some studies higher than, in Bipolar I”. “30% of individuals with bipolar disorder will attempt suicide during their lives, and 20% will succeed . . . . Suicide is more common in bipolar depression than in unipolar major depression, panic disorder, or even schizophrenia. 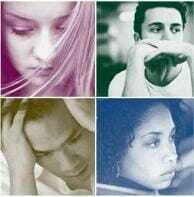 HOWEVER, THE SUICIDE RATE GOES DOWN DRAMATICALLY WITH ADEQUATE TREATMENT”. Bipolar statistics show the picture for people adhering to treatment plans, especially mood stabilizers, as actually very positive! produced significantly less relapse (11%) than medication alone (61%) over a 9 month follow-up period. 2. A 2001 study showed using Cognitive Behavioral Therapy (CBT) in combination with bipolar medication reduced participants’ depressive symptoms by 7.3% vs a 2.5% increase in the control group. 3. This study also found a 60% reduction in bipolar disorder relapse when CBT was used. No discussion on bipolar disorder statistics is complete without considering the high levels of chronic physical illness that all too often accompany bipolar disorder. 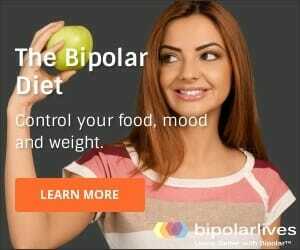 In February 2009, the medical journal Psychiatric Services published findings showing that bipolar disorder can DOUBLE your risk of early death from a range of medical conditions – including those that can be controlled through diet and exercise. conditions such as heart disease, diabetes and stroke. It does NOT have to be this way! These particular bipolar disorder statistics can be radically improved. How many people that are positive for hcv are diagnosed as bipolar? How many people that are bipolar do not suffer a depression cycle.